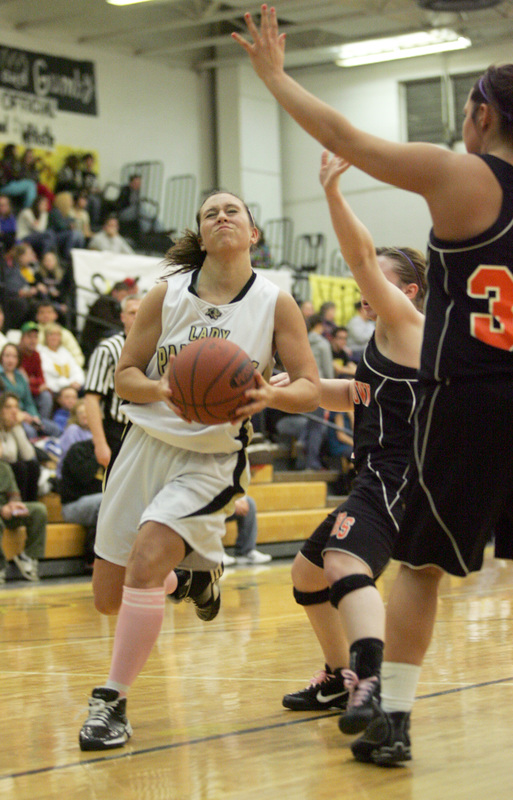 Senior Sarah Osborne braces for contact as she drives hard down the lane. 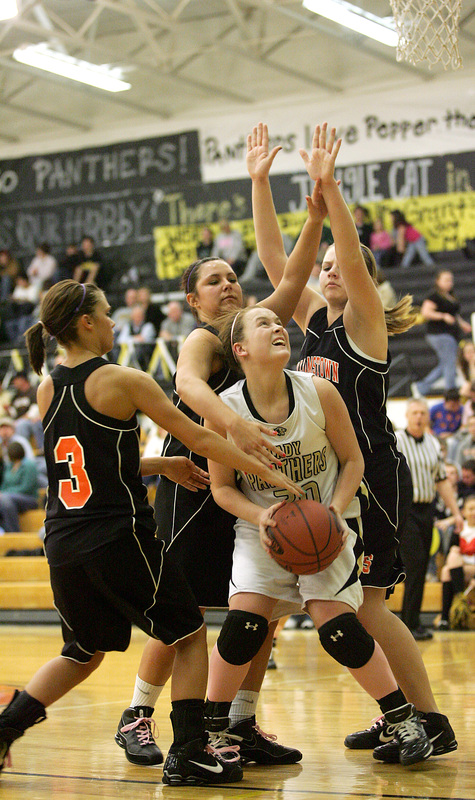 Sophomore Hannah Devine battles three defenders as she attempts to score a basket during the second half. Junior Kyndal Curry looks for one of her teammates as she is closely guarded on the baseline.